Hello my name is Radha and for the past 35 years I have been sharing my extraordinary gifts with people in Australia and Internationally. Born and raised in Australia, I am a direct descendent of the Kola Peninsula Shaman Sami people and Romani Seer people. Throughout my career, I have been blessed with many opportunities to share my knowledge of the spiritual world and the many benefits that spiritual and psychic healing can provide. You may recognise me from my appearances and presentations on Prime Time Channel 9, Australian Psychic expos, Mind Body Spirit festivals, Mystic expos and Insight Magazine. In addition I have been invited as a guest writer for many national magazines including Channel Magazine, That’s Life and Hobart newspapers. At the age of 14 I had a near death experience. This was the beginning of some serious training coming through to me psychically, from my teacher, a Yogic Master of many lifetimes. He spoke to me/transmitted to me, whilst I was in an unusually long coma. Twelve years later I was fortunate to be guided to him in person and to be initiated by him as a Yogic Sannysin. This Consciousness Training was an integral yogic philosophy consisting of Ayurvedic and Yogic psychology, philosophy, physical, mental, emotional and psychic Sciences. Today, I have become an extremely well versed trained psychic and spiritual healer. I can read anything at all. This is so, even if it is not a traditionally accepted psychic tool. For example, cake crumbs or chocolate frog bites can be read. Signatures, clothing colours, faces, feet, footprints, voices…anything at all. Because everything is interconnected, nothing is separated out from synchronicity. It is all spirit. It is all part of the divine whole. All communicating, giving and receiving. Each reading with me begins with an Aura and Tattwa card reading. Here, you will experience caring, sensitive yet, fast and accurate insight. From there, we can work with other tools too, answer your questions and explore your options. You can expect to gain inspiration, insight, direction and solutions on any topic. I treat each reading as a doorway for spirit to speak through our combined intention for your insight. It is an honour and a privilege to be given the opportunity to work with you and I very much look forward to doing so. If you would like a reading from me please use my ID No. 2043. Radha is rated 5.9/6 from a total of 10 Rated Reviews. Radha offered a lot of thoughtful insights, contemplating many factors while consulting spirit. Helped me see some things I hadn`t considered enough. She just needs to listen more when the other person starts to speak, and not talk over the top so much. I am sorry you felt I was talking over you Glenn. The messages were coming through so quickly from Spirit and I just had to share these with you at the time. All the best. Radha was amazing. I have spoken to many psychics and she was so accurate without me telling her much. Thank you Radha and I will speak to you again. Thank you so much Radha for your reading Tues night. You told me something about my work colleague that will happen soon, and I am relieved you shared that with me. I will be aware when it happens now. I enjoyed talking to you and your good energy and thoughtfulness shines through. It was a pleasure to assist you Tan. I also enjoyed speaking with you. We can all celebrate and be grateful that Spirit always lights the way always in exactly the right way and the right time. Thank you dear Radha. I found your reading just great for me and I am grateful to have found you!! Thank you so much and Gods blessings to you!!!! Thank you JPA for your lovely review. It was an absolute pleasure to read for you. All is now right in your world and your love, health, abundance and prosperity are assured. It cannot be otherwise - and we can be each filled with gratitude that this is so, right now. I really enjoyed my readings... as I called you twice tonight. Very insightful, informative and positive read. I'm excited to see it all unfold. I loved how you picked up on my life story straight away! Beautiful style, very calm and collected. I'm so glad I asked for you tonight. You are such a blessing and I thank you for sharing your gift with me for me. Katrina, thank you so much for taking the time to post your review. It was an absolute pleasure to read for you. I only spoke to Radha for a few minutes but she picked up on the situation straight away. Very accurate and also positive and gave some great advice as well. Thank you. Thank you very much Nerissa. It’s so good to hear that you feel a benefit from my reading. This lovely lady was awesome. I was quite impressed by her. She told me as it is and that is what I wanted. I would recommend Radha to anyone. I’m so happy that you benefited in our short time together. You know, your own awesome openness aided accessing what you needed so quickly. Thank you so much Sandra. First time speaking with Radha yesterday and it won't be the last! My son was going for his licence today for the 2nd time and I wanted to know if she saw him passing. She said yes but he would be cautioned on 2 things. She was spot on!! What great news Diane - congratulations to your son on passing his license. Thank you so much for letting me know. I have worked with Radha several times on various issues. She has been so helpful. Radha is both a gentle reader, understanding the depth of issues and how confusing this can be for the person in the experience, and very wise as she is able to use a number of ways to get to the core of the issue. She does not judge where as a caller I am at. Radha also provided me with some helpful and simple tools that have given me some control and positive approaches. I would highly recommend Radha as a reader. Carol, I am so glad you feel supported by the readings. Thank you for sharing your positive experience in your review. I’ve had a lot happening to me and was very confused, hurt and lost. 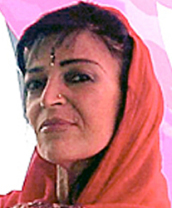 Radha was gentle and easy to talk to and the reading was uplifting and healing for me. So thank you Radha. Maria, thank you so much for your lovely review – it is great to hear that you felt supported in ways that assisted you to feel easier. Radha teaches you tools to improve your life. She is pretty good and accurate about my family and life. Thank you for the tools and reprogramming mantra you taught me; it’s fascinating and very useful. I like it when out of a reading I get tools and help to move myself to a better position spiritually. However, I do hope you are not 100% spot on about the person for me, only because I have a very specific preference for the geographic and nationality origin of my partner. LOL. S.K. it is so good to hear from you and that the tools provided in your reading helped you. Thank you. I had a very comforting and helpful reading with Radha. A true blessing it was. Radha is a warm compassionate reader..I really enjoyed talking to her. She was pretty spot on about certain things! I’m eagerly waiting to see if her predictions come true..I will definitely be in touch to let her know of the outcome. Warm wishes. Thank you K.D. for taking the time to write your lovely review. I always appreciate hearing how the reading material reveals itself over time. I had very specific questions for Radha, but requested a general reading. Radha addressed my concerns immediately within the general reading with no information from me and followed through with amazingly clear, accurate and relevant information/guidance. She confirmed my intuition regarding a work situation, described my boyfriend to a T (confirmed today you were exactly right re the reason for no contact). Her guidance was offered in a very honest yet gentle manner, there is no doubting Radha's authenticity as a woman with an incredible gift. Thank you Radha. Thank you D. SA. I am also thankful to our guidance that responses to your very specific questions and pertinent information/guidance, arrived via the general reading so quickly.